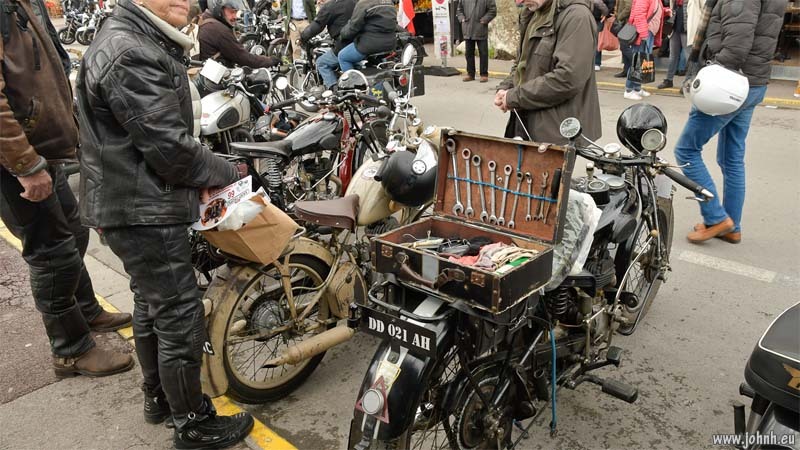 The 25th « Rétropézien » motorcycle rally, the French is much more atmospheric - XXVième Rassemblement des Motos Anciennes - suggesting assembling all the old bits again to get the old bikes working once more. 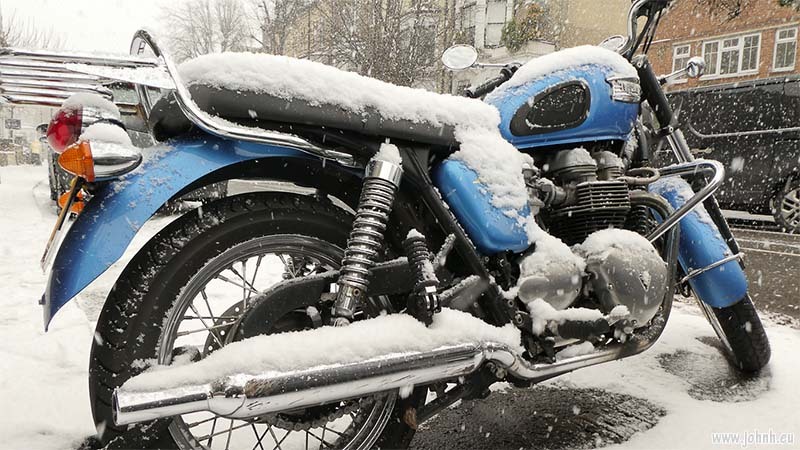 Unfortunately another dodgy forecast, not the sunshine as expected but despite the rain first thing, the afternoon was dry for the old bikes’ outing. 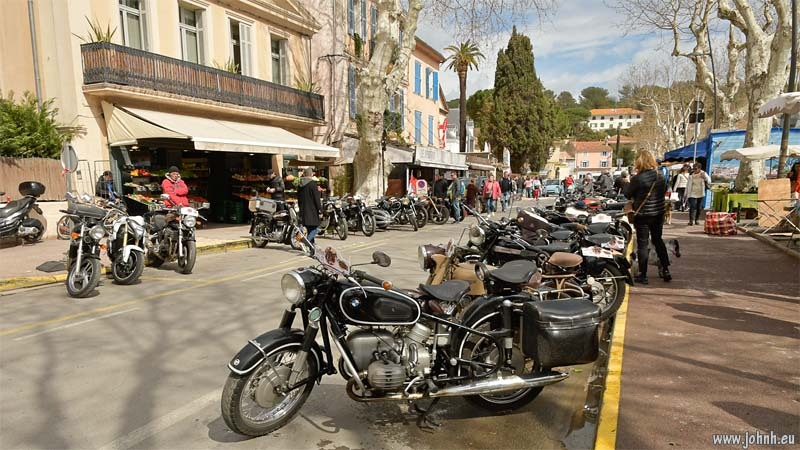 About a hundred bikes turned up for the actual run, more just for the run, not including the lunch. 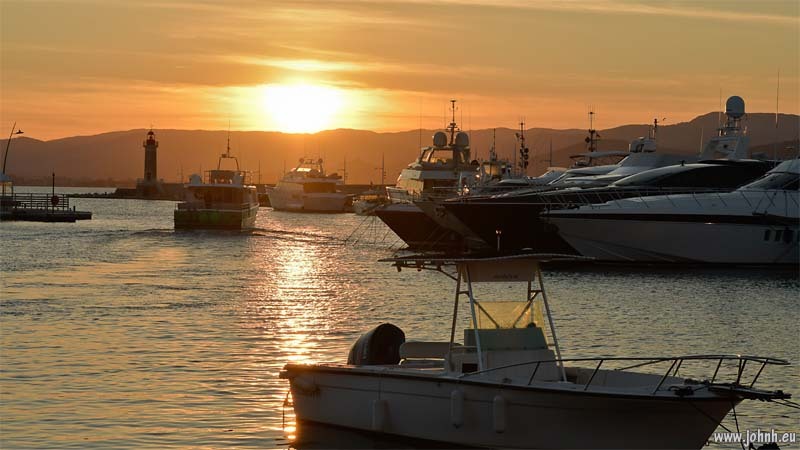 Sunset in St.Tropez with Denis, following some sporty riding through the Forêt des Maures and lunch in Giens with fine views of the islands of Porquerolles; Giens is not quite an island but is certainly another world across the isthmus out from the palm trees of Hyères. 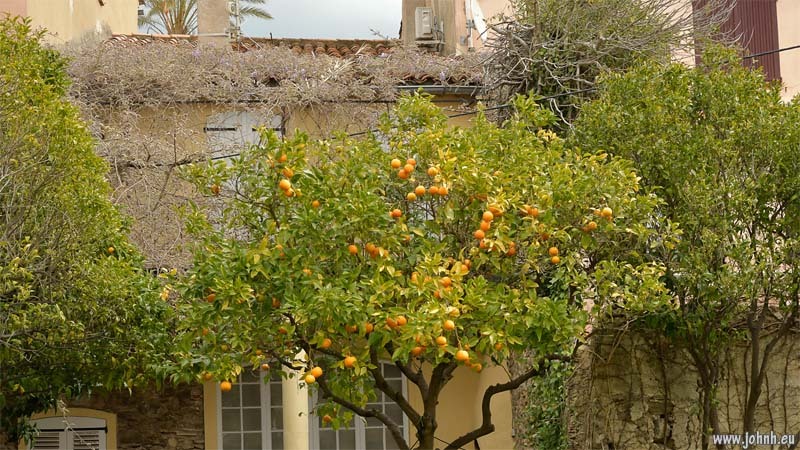 Spring weather returns to Provence so a dream ride through four départements, Bouches du Rhône (13), Alpes-de-Haute-Provence (04), Var (83) and Vaucluse (84). 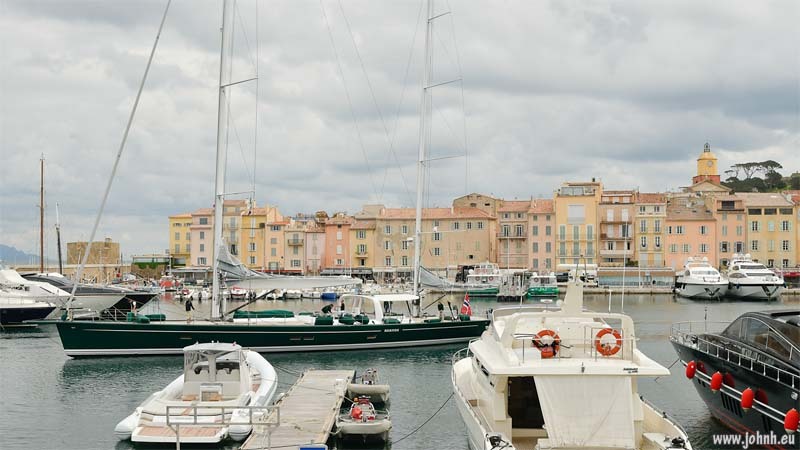 Warm enough to play and no sign of the strong winds that had been forecast. 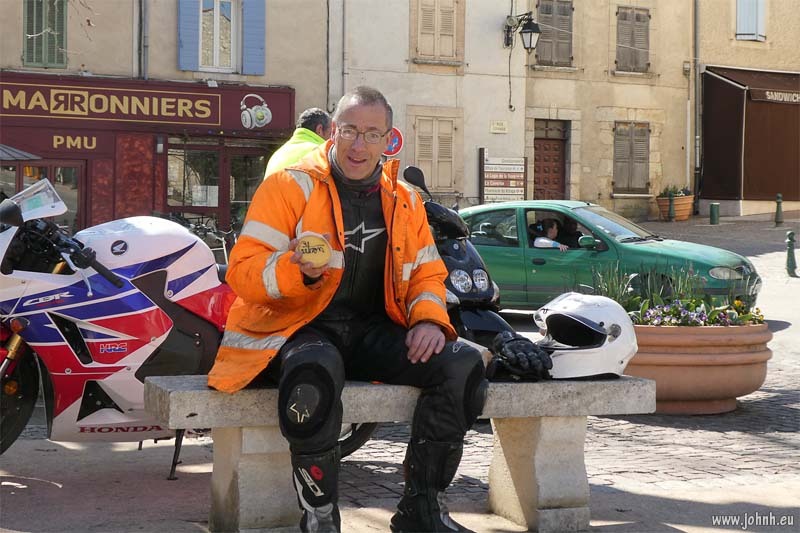 Checking in en route with Lionél in Peyrolles-en-Provence, who looks after my bike, and very happy to find the convenient boulangerie in Gréoux-les-Bains has reopened with a new boulanger and staff. That’s a Tarte Citron I’m enjoying in my photo. Then up the twisty road to the Valensole plateau for a ride through the fields of lavender with distracting views of the snowy Alps above Allos and Barcelonette. Going home time from the GBMCC pub night. 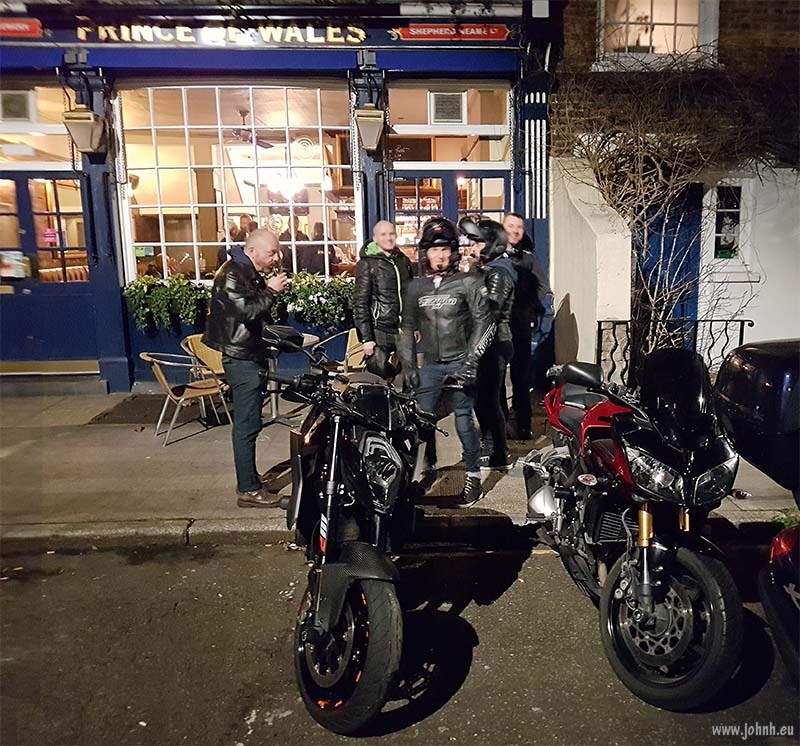 The last of about three dozen club members striking a pose and getting ready to ride home after another popular club event in Kennington, southeast London. 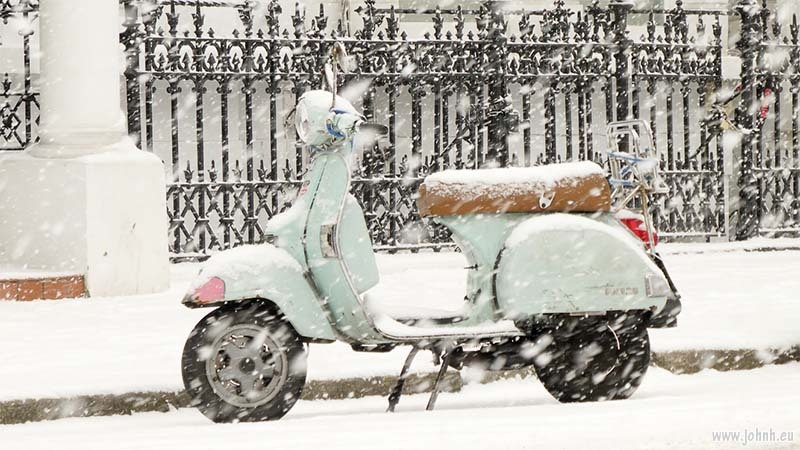 If you want to ride stylish then a Bonneville 750 or a Vespa PX125 are good choices but today’s blizzard means it is probably not a good day to ride the bike to work in London.